Our friendly, highly trained, professional drivers will be there to assist you as quickly as possible. We want to provide you with exactly what you need so you can get back on your way. Having unauthorized vehicles parked in your lot can be a big nuisance. However, you don’t have to suffer when 1 Stop Services Towing & Recovery is here offering private property towing service. 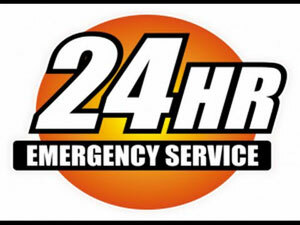 We trust you will find answers to some or all of your questions about our emergency roadside services or towing your vehicle the right way and damage free and reasonable rates to make you and your pocket book happy. Our towing service goes beyond just towing your car. When we come to your location we want you to feel confident and know that we can tow your vehicle without any complications or damages. Our emergency roadside assistance is above the rest! When we come out to assist you in a time of need, we provide you with outstanding customer service and give you our fullest attention. 1 Stop Services Towing & Recovery was founded in 2011 with the goal of providing fast and seamless towing service to bring relief to people who experience grave vehicle troubles on the road. Our drivers are well versed on the latest models of vehicles and are trained on a regular basis. We will take care of your car as if it were our own. Rest assured, we are the experts at road service. Do you need tow truck service to have your disabled vehicle moved? 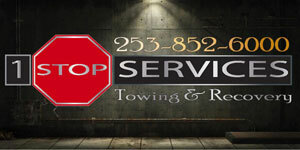 Call 1 Stop Services Towing & Recovery. We are a full-service towing company that provides both wheel-lift and flatbed towing assistance for transporting trucks, cars, SUVs and motorcycles. Driving becomes a lot easier and more relaxed with our towing and road service specialists at hand to help you with any emergency. Whether your vehicle meets with an accident, develops a mechanical trouble, gets a flat tire, has a dead battery or runs out of gas, give us a call. Our tow truck service and roadside assistance is available 24 hours a day, 7 days a week, with no weekends or federal holidays. Why Choose Us for Tow Truck Service? We keep our tow trucks and towing operators prepared at all times and respond swiftly to your tow truck service call. Our towing experts respect your investment and carry out tow truck service carefully so that your vehicle reaches the destination in the same condition we found it. We drug screen our drivers, confirm that they have a clean driving record and have their background checked extensively through state patrol. We are also affiliated with AAA for our customers' convenience. We are the right towing company to choose if you want truly outstanding tow truck service. Rely on the towing experts at 1 Stop Services Towing & Recovery for quick and professional tow truck service. Call 253-499-9800.